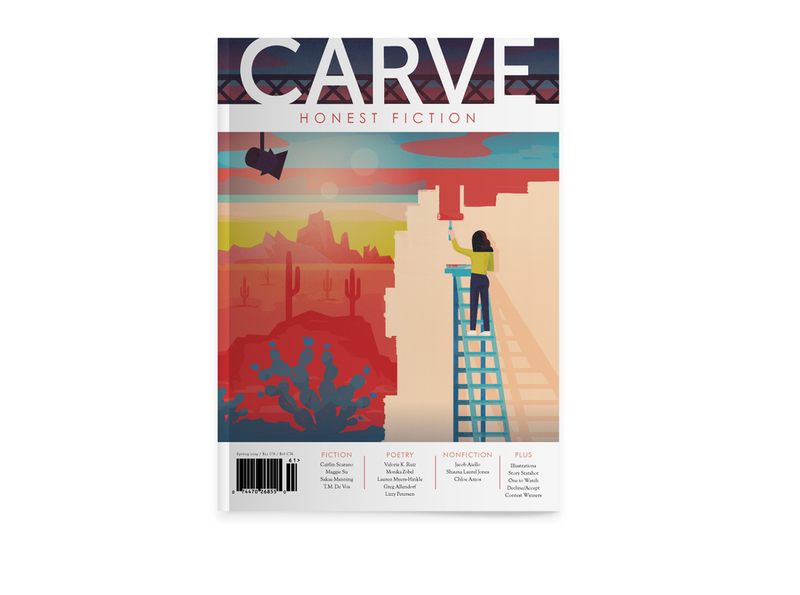 Subscribers to Carve in print or digital never pay a submission fee in any non-contest category for the duration of their subscription. We also bump subscriber submissions to the top of the queue to ensure a faster response time for our loyal readers. Each quarterly issue includes our signature HONEST FICTION, plus new poetry and nonfiction, in-depth interviews, and gorgeous illustrations. We also have unique features you won't find in other lit mags, such as Decline/Accept, Story Statshot, and One to Watch. New print or digital 1-year subscriptions are $39.95 / 4 issues (additional for print to non-U.S. destinations). Save 10% with a 2-year subscription.